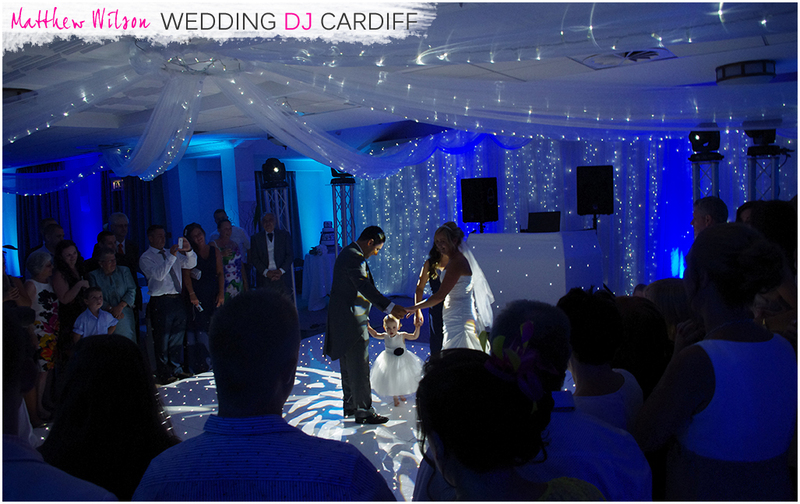 Wedding DJ Cardiff has a handful of pre-defined wedding packages and I also offer you the opportunity to create your very own bespoke wedding package. Everything offered as part of our packages is owned by us, so we can guarantee the quality of the services is UNBEATABLE. By booking a package, we are able to offer you a fantastic discount. Each of the packages are available all across South Wales although there may be some restrictions on certain South Wales wedding venues due to their physical dimensions. We are willing to travel further afield but travel costs will need to be included in your wedding quotation. NEW FOR 2018: The Picture Perfect package! High quality evening disco with the most stylish modern lighting system in Wales. Fantastic sound system, our line array audio system is what other DJ’s dream of. Experienced Wedding DJ – with worldwide DJ experience, Matthew has a wealth of knowledge in all music genres. High quality evening disco with the best lighting system around. World class wedding DJ who will play the music you want to hear. Dynamic room mood lighting (6 wireless units) – which will change in sync with the disco lighting. Fully programmed lighting show, creating dramatic effects to make your wedding extra special. Wedding DJ who will play the music YOU want to hear! Matching colour white on the Dance Floor, DJ Booth AND Starcloth!